1) Leadership isn’t about charisma – Charisma can be a great tool for a leader to wield – but it’s not a prerequisite. Nor is it necessary to be a wonderful communicator or motivator. 2) Leadership isn’t about genius – There are very many exceptionally clever people who could never be though of as effective leaders – most likely your old college professors included. 3) Leadership isn’t about position – Leadership has almost nothing to do with an org chart. 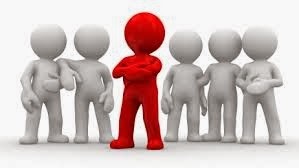 Many people who never rise to prominence in an organization consistently act as leaders.